Biodiesel pretreatment is the process of taking the crude oil extracted from the back end of a dry-grind ethanol process and making it suitable for use in a biodiesel plant. The extracted corn oil from the back end of an ethanol plant is usually high in free fatty acids (FFA). The typical biodiesel pretreatment involves an acid degumming step to remove phosphatides (phosphorus-containing compounds naturally occurring in fats and oils) and metals such as calcium, magnesium and sodium. 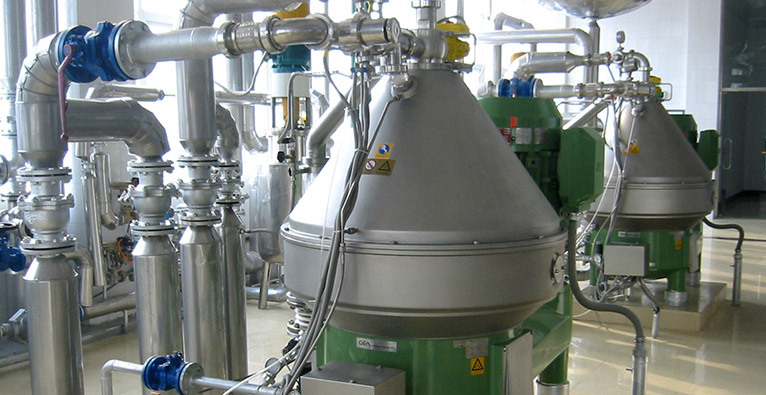 The corn oil is then filtered through silica in a pressure leaf filter to remove residual phosphatides and metals. After the phosphatides and metals are removed, the oil will still contain a high amount of FFA. This is typically removed by a high-vacuum, high-temperature process that is designed to strip the FFA from the corn oil. This FFA distillate is recovered and further processed into value-added products, or just sold as is.